Nerve root impingement is a typical consequence of many different types of stenosis, including central canal narrowing, lateral recess narrowing and neuroforaminal narrowing. 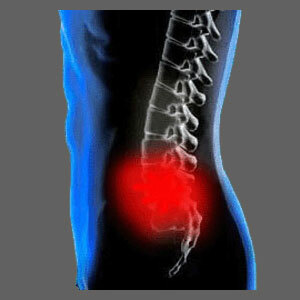 Impingement can affect one or more of the spinal nerves, potentially causing dire symptomatic expressions. However, all is not so grim when it comes to the possibility of nerve impingement. After all, many cases of stenosis exist without compressing any nerve tissues whatsoever. In spite of this great news, many patients might still be labeled as suffering from a compressive neuropathy, even when no evidence exists to suggest that a verified impingement syndrome is occurring. Nerve impingement in the spine can influence virtually any location in the remainder of the anatomy. True acute compression can cause pain, paresthesia and numbness in any body region. Chronic impingement will usually result in greater degrees of numbness, weakness and dysfunction in affected limbs or systems. This treatise examines the incidence of neurological compression as part of a spinal stenosis condition in the neck or back. What Exactly Is Nerve Root Impingement? Nerve roots can be effaced, which basically means that they are contacted abnormally by some structure or tissue. Nerve effacement typically does not produce pain or any significant neurological expression. Nerve displacement can occur when an effacing structure or tissue actually moves the nerve from its normal anatomical placement. Once again, as long as the nerve is not pushed against a hard surface, symptoms are not guaranteed to occur. Nerve compression describes true impingement, wherein a nerve is squeezed between an effacing tissue and some unyielding surface. This is the kind of impingement that is most likely to cause pain, tingling, numbness and weakness due to nerve dysfunction. It is vital for patients to understand the level of impingement that affects them in order to better their chances for successful resolution of any related or unrelated pain they might be suffering from. However, this can be a challenging proposition, as we will detail in the section below. Some patients are labeled with having nerve impingement simply on the basis of symptomology. While symptoms can surely lead a care provider to suspect impingement, the mere presence of symptoms can never accurately diagnose impingement. Many patients are diagnosed after undergoing x-ray, CT scan or MRI imaging. While many tests are useful in helping to diagnose impingement, as well as identifying probable causes of said impingement, in the vast majority of test results, impingement can not be proven with imaging alone. Visual imaging might clearly show effacement, but rarely can differentiate between compression, displacement or simple nerve contact. In order to truly prove that nerve compression is occurring, the diagnostician must take into account all the evidence that can be generated from symptomatic correlation, diagnostic imaging and nerve conduction studies. They must also actively seek out factors that might disprove a suspected cause of neurological impingement as the true cause of pain, if any illogical discrepancies exist between the actual symptoms and clinical expectations. Since accurate diagnosis is an inherent aspect of successful treatment, patients must never proceed to the therapy phase of care until they are absolutely certain of the correctness of their diagnosis and that no other causation might be responsible for their current sufferings. Failure to abide by this sensible rule explains the horrific treatment results endured by many patients after failed surgeries or years of fruitless conservative care. In most of these sad instances, the condition being treated simply is not the actual source of the symptoms. In cases where the symptoms can be definitively linked to neurological compression, then treatment should bring about resolution of the expression. However, since the spinal nerves are sensitive and rarely fully regenerate after injury, some degree of symptomology might remain even after impingement is corrected. If neurological testing shows no deficiency of signal in the affected nerve, yet symptoms persist, this might be a clue that the suspected source of compression might not have been the true culprit after all. This is particularly true if the structural impingement has been completely relieved, yet pain, tingling, numbness or weakness remain. As far as the best course of treatment for verified cases of nerve root impingement, there are no absolute recommendations. In fact, the ideal method of care depends wholly on many factors, including the cause of compression, the age and condition of the patient, the degree of symptoms expressed and many other case-specific considerations. However, a good general rule states that for cases of transient stenosis that enact nerve compression, such as herniated discs or some varieties of ligamentous hypertrophy, conservative care, or time alone, may bring about relief. Meanwhile, for permanent types of canal stenosis, such as those caused by arthritic accumulation within the spinal anatomy, conservative care is unlikely to provide a cure. In these cases, symptom management or surgery are the usual best recommendations for most patients. We highly recommend that patients who suspect neurological impingement to be the cause of their symptoms should seek qualified care from a spinal neurologist. These physicians are experts in confirming or discounting the role of structural abnormalities in the symptomatic complaint. Always seek proper neurological care for best results in diagnosing and treating any condition that enacts pain through nerve root compression.